You may say flip flops have never been out of usage but we can say that they have been out of style for a while. People were used to wearing flip-flops only on the beach and no one referred them as stylish items for special occasions. Now we see flip flops are back with modern solutions and we are happy that some fancy fashion houses have something new to inspire us. Let’s check out the latest string of flip-flop trends and go for a style statement with cozier and nicer looks. This time Michael Kors has unveiled its simplest collection of flip flops that look so elegant and practical. They go well with any outfit and accessories. You can find them in white, beige and black shades, which are the most popular hues for casual wear. These flip flops are made of high-quality material that’s why they have a great demand among celebrities. You can match them even with long festive dresses and feel comfortable during the whole party. 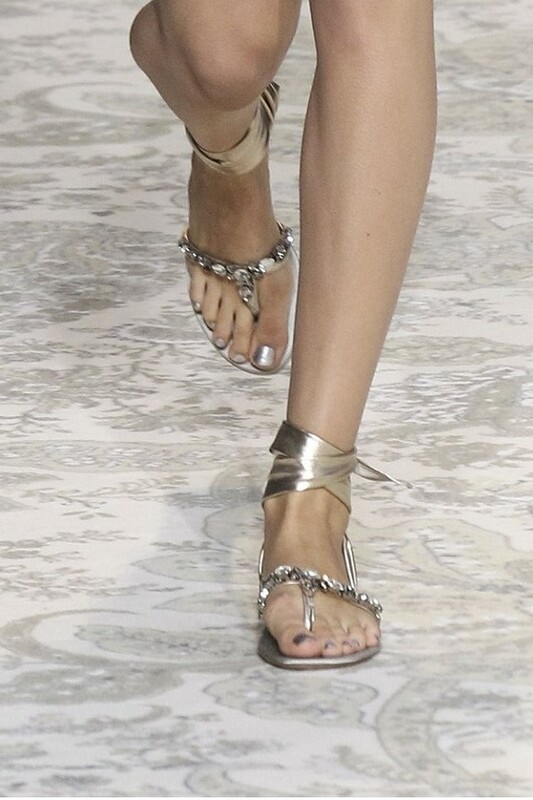 As for Marc Jacobs, it has represented heavily embellished flip flops for 2018. We see beautiful patterns, eye-catching details, which make flip flops so luxurious. They are prom-ready shoes for those who want to stay comfortable and grab attention at the same time. The chosen color combinations are well-balanced and go well with bright-colored and printed outfits. You can also easily find matching accessories. In its resort 2018 collections Dion Lee has represented another string of flip flops with bright blue, red, yellow and elegant black and white colors. 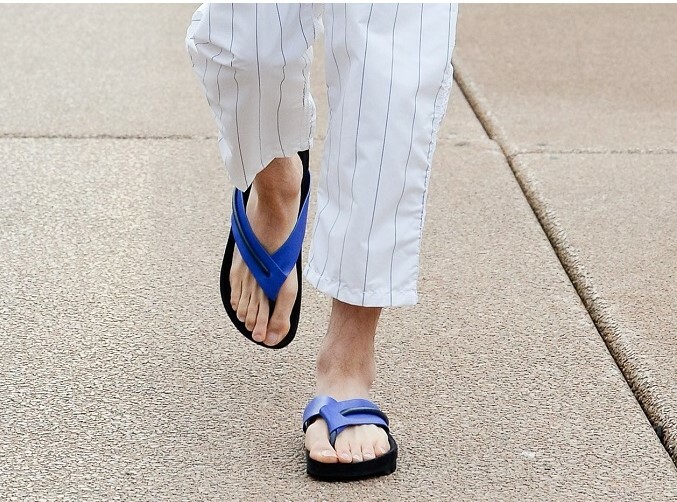 These unisex flip flops are practical enough both for your street style and beach days. You can always take them with you during hot summer days. Such flip flops are a must especially for the beach and if you want to own one of the latest trendy options, then choose Dion Lee’s style. We love how Etro plays with details to create interesting combinations. Fringes, ribbons, silver and golden embellishments in cute patterns clipped to flip flop sandals are so feminine and attractive. They are ideal for evening parties and can be worn with matching glossy accessories. Golden and silver shades make them more eye-catching. The choice is wide enough to help you find the desired pair of flip flop sandals. You may even opt for several pairs for different occasions.